Author, Darlene Wager of Professional Pet Sitting Etc. We love our pets, and want only the best for them throughout their lives and, especially, as they get older. If you’re the parent of a cherished cat entering her golden years, there are some things you can do to help her age gracefully and comfortably. Feed your senior a balanced, antioxidant rich, feline-appropriate diet that includes omega-3 essential fats, such as krill oil. Moisture is an aging cat’s best friend, so encourage adequate hydration by providing a variety of water bowls throughout your house, in addition to minimizing dry food, which contains minimal water. If your cat is addicted to poor-quality dry food, try adding a whole body supplement, such as Standard Process Feline Whole Body Support. Provide your kitty with a SAMe (S-adenosylmethionine) supplement as a safe and effective way to stall or improve mental decline, improve mobility, and assist in liver detoxification. Some researchers believe SAMe may also be helpful in other conditions related to the damage of cell membranes such as diabetes, pancreatitis, inflammatory bowel disease, anemia, Cushing’s disease, autoimmune disorders and certain heart conditions. Consult with your veterinarian to determine the proper dosage for your feline. Coconut oil, a rich source of medium-chain triglycerides (MCTs), has been shown to be safe for cats and can improve brain energy metabolism and decrease protein build-up that results in brain lesions in aging pets. It may even reduce your kitty’s hairball issues. Serve ¼ teaspoon for every 10 pounds of your cat’s body weight twice daily. For aging kitties who prowl the house all night and vocalize (as many seniors do), consider a low dose of melatonin, which is a sedative with a calming effect that will help kitty sleep. Some vets even prescribe this supplement to treat mild feline anxiety, and it’s an effective antioxidant. Since melatonin is a hormone, not a drug, it has few side effects and can be used long-term. Again, consult with your vet regarding correct dosage. Keep your cat’s mind and body active with regular exercise that is appropriate for her age and physical condition. Think of creative ways to enrich your cat’s indoor environment, like hiding bits of food or treats throughout the house, encouraging her to “hunt;” providing scratching posts and perches; and adding a shelf beneath a window so she can sit and watch the outdoor activities. Provide mental stimulation with puzzles and treat-release toys. And, of course, have regular playtime with your feline which not only serves as exercise, but also as much needed bonding time. Set aside time every day to socialize with your senior. Ensure meals are provided on a consistent schedule, along with playtime and petting/lap time. If your cat enjoys being brushed or combed, work that into the daily schedule as well, to assist her with her own grooming chores, as they may slack as she ages. If she’ll allow it, trim the hair around her private areas since her age likely impacts her ability to reach those areas on her own. As cats age, they may experience potty accidents. If eliminating outside the litter box is an issue, try putting additional boxes around the house. Make sure kitty is comfortable when getting into and out of the box. Cats are masters when it comes to hiding arthritis and other aches and pains, which can limit their ability to climb into high-sided boxes, or boxes kept in bathtubs or up a flight of stairs, for example. We wish our pets could live as long as we do but, sadly, that just isn’t so. Do anything and everything you can to ensure your favorite feline is comfortable, happy and as healthy as possible while she’s here. Halloween can be a fun time for dog owners, but it’s also one of the most dangerous times of the year for your canine companion. We’ve compiled a short list of halloween tips to keep your puppy safe during the trick-or-treating bonanza. Don’t feed your dog candy. I wish tips like this could go without saying but each year veterinarian clinics are slammed with panicked pet owners on November 1st. Absolutely nothing with chocolate is good for dogs, and those who ingest it will develop chocolate poisoning quick. It doesn’t matter what form it’s in, keep all the chocolate goodies away from your pup. Symptoms of chocolate poisoning include vomiting, diarrhea and seizures. If your dog starts showing any of these signs shortly before or after Halloween then you need to rush him/her to the vet immediately. Keep your dog indoors and away from the door Halloween night. Young mischievous pranksters get up to all sorts of things Halloween night. Don’t run the risk of something happening to your dog or your dog mistakenly harming someone else. Keep him/her inside even if your pup’s a little big for the indoors. 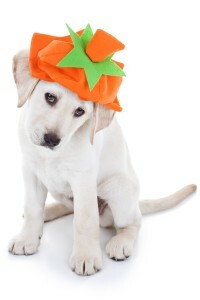 As disgusting as it is, there are reported events of dogs being harmed and even killed on Halloween. Protect your canine by keeping him/her close. Chances are there will be a lot of people visiting your front door during the festivities. It’s best to keep your dog away from the door even if you’re not expecting trick-or-treaters to stop by. You don’t want to have to go chasing after your lost loved one during the Halloween madness because someone accidentally let him/her out or worse. 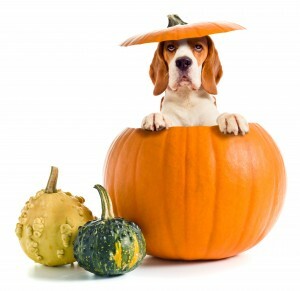 Don’t let your dog eat traditional Halloween foods. While not dangerous like chocolate or candy, most kinds of traditional Halloween food will upset your dog’s tummy and cause health problems just as easily. Go get some dog treats from your local pet supply store if you want your pup to enjoy a treat during the festivities too. Try on dog outfits before the big night. Some dogs don’t like being dressed up. Forcing your pup to dress up when he/she doesn’t want to could lead to your dog being injured or even become ill due to stress. If your dog doesn’t want to wear a shirt, try a scarf. Sometimes less is more and your dog won’t mind something less intrusive. You should also make sure any outfit you dress your dog in doesn’t restrict his/her vision or movement, ability to breathe or capability to bark. Your dog’s safety is more important than him or her matching your costume. Remove electrical cords and wires from your dog’s view/reach. This tip goes double for all of you with younger canines. The last thing you want is to happen across your puppy after he/she has chewed through a cord and been electrocuted. Be smart and keep your home safe of canine hazards. Keep your pet safe this Halloween so you can all have a barking good time. Happy Halloween! Who wouldn’t keep this baby safe? Every Scout knows it is best to be prepared, so every home with a pet should have a first aid kit on hand. There’s more to putting together the best first aid kit than just throwing stuff in a container; it takes forethought, research and, of course, care. And, if you’re like most people who get panicky when it comes to emergencies, instructions are as important as the kit itself, if not more so. Here are the steps you should take, and the items you should purchase, to ensure your pet first aid kit is first class! To be best prepared, consider taking the American Red Cross’ pet first aid course. Courses are available at American Red Cross locations and teach participants how to be prepared for emergencies that involve a cat or a dog, and how to protect themselves and the animal from further harm, injury or suffering during emergencies. The course teaches prompt, effective first aid actions and care. Cost is typically around $70; well worth it for the peace of mind you’ll get by knowing you can help not only your pet, but others, if the need arises. A list of emergency phone numbers including your veterinarian, an after-hours emergency veterinary hospital and the ASPCA’s Animal Poison Control Center (1-888-426-4435) should be taped to the inside of the box as well. All of these items are quite useful, but you need to know how and when to use them. If you opt against the pet first aid course, be certain to include a book or first aid guideline with your kit. The instructions are as important as the kit itself, if not more so. Once your kit is complete, be sure to keep it in a readily accessible place and out of reach of your pet and your children. Regularly check expiration dates on medicines and supplies in the kit and throw out any outdated items. And finally, you might want to keep your supplies in a waterproof box just to be sure it’s extra-protected, and keep a spare one in your car. No one likes to think about their precious pet being injured, but as with almost everything in life, it’s better to be safe than sorry. Make sure you are well prepared and ready for action should your pet’s life depend on it. Itchy, I’m so itchy !! Author, Noelle Dunn of Professional Pet Sitting Etc. The perfect setting for fleas and ticks to breed is the cozy, warm coat of cats. These nasty bugs feed on your pet’s blood and can cause a variety of health issues. There are steps you can take to keep them away from your furry friend. Fleas and ticks usually attack together but are very different. A flea is considered an insect and has 6 legs. They cannot fly, but can jump a great distance. Ticks are related to spiders. They are tiny and have 8 legs. There are some other differences; fleas live about 100 days or so, while ticks can live a few weeks up to 3 years. Fleas will lay 20-40 eggs a day for up to several weeks. A tick can lay thousands of eggs at once. It is most common for fleas to dominate during warmer months but a tick thrives in both hot and cold climates. If your cat has fleas and ticks you will notice persistent scratching. You should check your cat’s fur, focusing on the head, neck area, tail and feet. 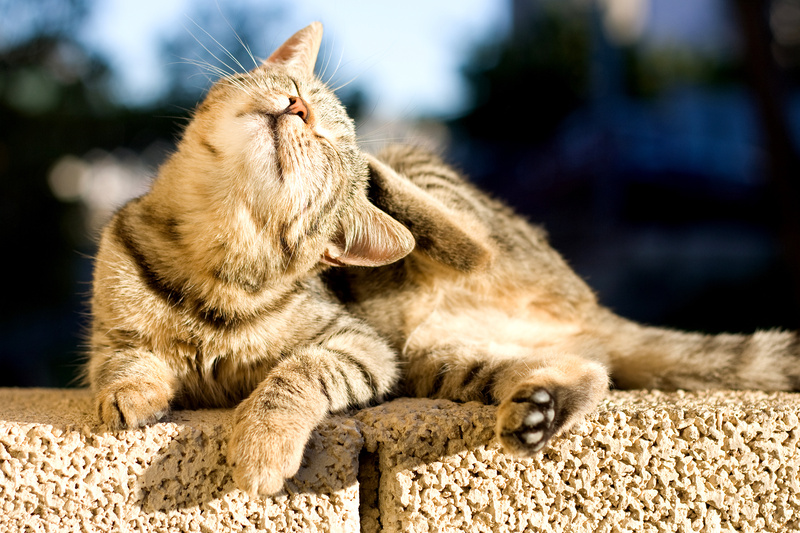 The most common way animals contract fleas is from being outdoors. It only takes one flea or tick to be infected. Fleas can fall off their host animal onto the rug, furniture, and bedding. You can keep your home flea and tick free by doing the following: clean rugs and upholstery often and the areas where your pet sleeps and eats. You should wash your pets bedding regularly. You can use an indoor fogger to kill fleas and ticks. For more severe cases, you may have to consult an exterminator. As you clean, focus on dark areas where fleas and ticks like to hide. If you are going to treat your yard, keep in mind these bugs migrate to the dark, damp, shady spots. Always read directions thoroughly and repeat if necessary. Before treatment, pick up any leaves, loose branches or anything you don’t want to be affected by the chemicals. You can prevent the spread of fleas and ticks by regular checkups and vaccinations. Cats are highly sensitive to insecticides. Some products that are intended for dogs should absolutely not be used around felines. Check all labels before you buy. To be safe, you should consult with your veterinarian for the best methods of flea and tick prevention. Is it for fun or is there a purpose? It may seem strange, but rolling around in the grass is about as good as it gets for many dogs. But why exactly do they enjoy it so? Firstly, dogs are creatures of instinct. 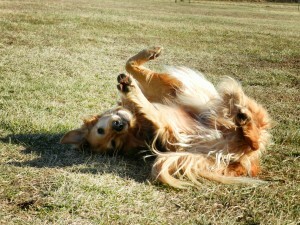 And, as we know, they are ancestors of wolves who, coincidentally, enjoy a good roll in the grass as well. When a wolf sniffs out a new, appealing smell, he will roll in it, aiming to cover his entire body with the scent. Upon returning to his pack, the wolf will allow his pack mates to partake in the scent. In many instances, one or more of his pack mates will follow the scent back to the original source for further investigation. In wolves, it is believed “scent rolling” is a method of bringing information back to the pack. Chances are, in some instinctive way, the same holds true for rolling Rover. He wants to bring the scent back to his pack – his human family. What do you do when you have an itch? You scratch it, of course! Easy for us… not so easy for our paw-some pets. Your dog’s desire to roll in the grass may indicate a skin allergy, insect bite, dry skin or perhaps a case of fleas. 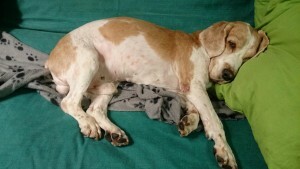 A good roll offers temporary relief, but give him a good once-over when he’s done to see if his skin looks out of sorts and, if so, have him examined by your vet. How many times have you given Rover a good, thorough cleaning only to be aggravated when he goes outdoors and rolls in the grass in what you perceive to be an attempt to get dirty again? Well, guess what… it’s not that he’s trying to get dirty; he’s trying to rub off the scents left behind by the shampoos, doggy cologne, sprays, etc. that were applied to him during the torture process he knows as a bath. Think about it – dogs have more than 220 million olfactory receptors in their noses, compared to the measly 5 million in a human nose. So it’s no wonder then that something we think smells wonderful, may be overwhelming and even bothersome to your dog. If Rover rushes outside to rub off the scents of his bath products, it indicates a scent irritant, meaning it may be time to switch to odorless varieties. Is Rover’s roll in the grass a part of every walk you two take, as if it’s scheduled? This could be a sign of an obsessive compulsive disorder. Yes, pets can have OCD, too! And rolling in the grass might just be Rover’s way of expressing his excitement about certain situations. So, what’s the final word about rolling? Is it dangerous? Should it be prevented? The bottom line is Rover’s rolling, no matter the reason, is not dangerous in itself. However, the reason for his rolling may require some investigation on your part. And the grass in which he is rolling may have hidden dangers, such as dangerous chemicals, bacteria and parasites. Keep Rover up-to-date on his vaccines and treated for fleas and ticks and, chances are, there is no need for worry. Author, Noelle, for Professional Pet Sitting Etc. 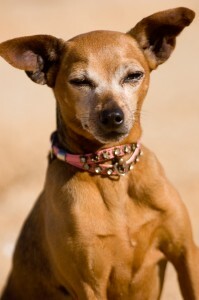 Did you know that certain breeds of dogs are more likely to develop liver disease than others? Breeds such as the Golden Retriever, Labrador retriever, Chihuahua, Shih Tzu, Toy Poodle, Cairn terrier as well as other specific breeds are all more likely to develop liver disease over the span of their life. Why is this important? Liver disease is one of the most highly encountered diseases by dogs and includes many hidden causes. Your dog’s liver is not only large in size but its job is largely important, too! Your dog’s liver is responsible for more than 500 specific yet, highly diverse, processes. Many people know that the liver removes waste, toxins and impurities from the blood stream. The liver, literally, filters poisons. However, the liver is also responsible for other jobs such as regulating body temperature, aiding with digestion and metabolism. It doesn’t end there either. The liver also holds onto and redistributes food, vitamins, and nutrients throughout the body. Your dog’s liver is one of his most important organs! I bet you’re surprised – we were too! So what causes liver disease in dogs? Due to the many functions of the liver, there are many causes of liver disease. While non-exhaustive, here’s a list of some of the causes of liver disease in dogs. Treating liver disease may seem quite complicated and it can be depending on how advanced the disease is and how much damage has been done. 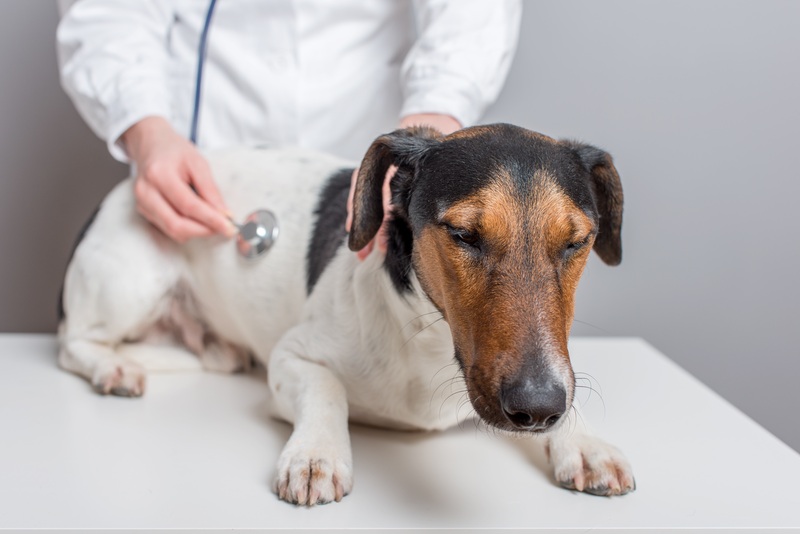 However once the cause of liver disease in your dog has been detected, that underlying, or accompanying illness, will be treated. When conventional methods fail, all hope is not lost as there are some natural remedies that are out there. As always, it is best to enlist the services of a doctor who is a proponent of holistic medicine or one that will use a combination of both holistic and conventional medicinal therapies while treating your dog. Remember, prompt treatment will always give your dog the best chances of healing especially when it comes to one of the most important organs in his body. This article can not be copied in part or in whole without specific written permission by the Author andOwner. 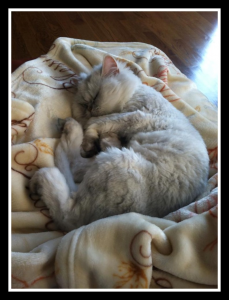 Newsletter Author & Creator, Darlene Wagner Butler, for Professional Pet Sitting Etc. As your dog grows older his eyesight may deteriorate, and unfortunately, visual impairment can happen at any age. Watching your dog lose his or her eyesight can be traumatic to witness; however, it is even more distressing for your dog. Vision loss makes it difficult for your dog to find his way around the house, see who is approaching, or identify his surroundings. If you notice any of the following signs in your dog, seek prompt advice from your veterinarian as your dog may be losing his sight. So, what causes vision loss or blindness in dogs? There’s no single cause of blindness in dogs. In fact, there are many other conditions that can contribute to vision loss. How can I help me dog adjust to vision loss or blindness? Keep familiar items in the same place; this includes your dog’s water bowl, food dish, bed, favorite toys and treats in the same place so that so they are easily found. Retrain! If you use visual hand cues as your command, it’s imperative that you begin using auditory commands and cues as your primary source of communications. Begin this process by placing emphasis on the verbal command, while phasing out hand signals. You can also use snapping, clicker and clapping as auditory cues. Remove objects that pose a danger to your dog, move any objects to a place where they are out of your dog’s reach. Put up a barrier such as a baby gate to block areas such as the stairs and pools. By petting and cuddling with your dog, they will be able to recognize your scent much easier. The best thing to help your dog through his vision loss is to be loving, understanding, and supportive. Your dog will still love attention, playing, and your company. Don’t forget to be diligent following through with your vet’s suggestions and treatment. With love and support, you can both get through this. Is your dog blind? What adjustments have you made? Did you know that one in four dogs will get cancer throughout the course of their lives? Even worse, did you know that half of the dogs over ten years of age will die of cancer? Scary, isn’t it? We think so, too. However, by educating yourself and those around you, you can help slow down or even help prevent the development of cancer in your dog. How? One way you, as pet parent, can help prevent cancer in your dog is by feeding your dog a high quality diet. Your dog’s diet should be high in protein and low in carbohydrates. A dog’s diet may also include some fat and vegetables. Yes, ALL natural is the best way to go. Many trusting, unsuspecting pet parents are feeding their dogs low-grade, commercial diets. 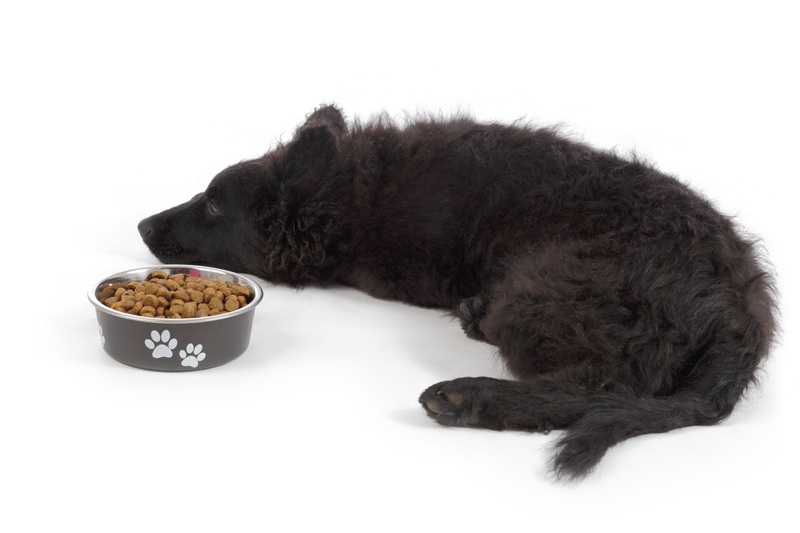 Such a diet is grain-based and that’s a big no-no when it comes to feeding your dog. Grains, such as kibble, are known to produce carcinogens. Additionally, cancers feed off of those carbohydrates, which are really just simple sugars. Remember, you are trying to prevent cancer, not help it grow! Also, the preservatives and artificial colors and flavors in low- grade grain based diets are chemicals. These chemicals are carcinogens! Carcinogens are cancer causing agents! Does your dog drink water from the tap? Do you drink water from the tap? If you answered yes to either of those questions, please stop! Many areas of the Unites States are known to have chemicals, hormones and other cancer causing agents in their water source. Invest in a water filter or use bottled water. Think about the amount of water your dog drinks each day, each week, each year and all of those chemicals those chemicals that they are taking in as they hydrate their bodies. We hope that you will at least consider to your own research on the effects of low-grade grain based diets in dogs. A simple life style change can add years to your dog’s life. More time – isn’t that what we all wish for when any of our loved ones, even the furry ones, reach the sunset of their lives?